If you run a beauty salon, then you should know that the tools you use are the ones that influence the success of the business. We are living in the era of cutting-edge beauty services and professional tools, and you have to make sure that you offer the best services from the market. When customers compare you with your competitors, they need at least three reasons to choose you. People will always choose the chic salon, and the more modern your fleet of tools is, the more numerous your clients will be. These tools will not only boost the treatments your clients receive, but they will take you beauty salon to a new level. When it comes to using technologically advanced tools you should not try to save money, because they make your brand reputable, and your clients happy with your services. The majority of people think that the less is more approach is the best one, but in the beauty services industry, it is important to offer people a variety of services, and to meet as many as possible from the requirements of the market. The one thing all women want is clean skin, and if you are able to offer it to them, the best product from the market, then you should not have second thoughts. The first step in achieving beautiful skin is to make sure that the skin of your clients is clean, and in the majority of cases, it is not enough to clean it with a face scrub and mask. The majority of women have a weekly appointment at the salon for having a facial treatment, so you should invest in this type of gadget and you'll see that your appointments won't be late for this. Make sure that you use a booking software to organize the appointments, because all you have to do is forget about one client and more than likely they won't be going back to you. The majority of people think that lasers are designed to zap leg hairs, but nowadays they do much more. Women do not like to see dermatologists, because everyone hates doctors, but they will love to have the same results at a beauty center. 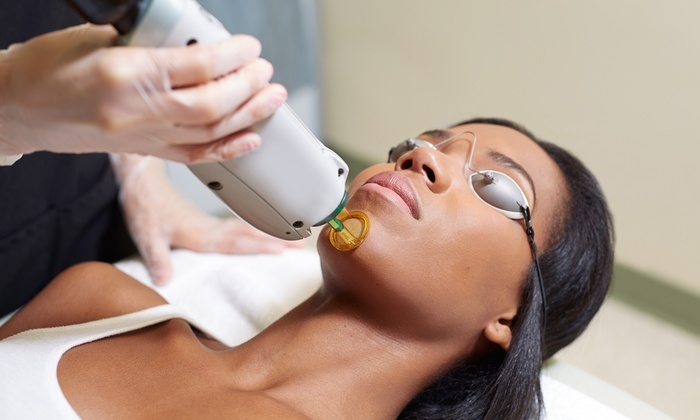 This type of laser can combat the fine wrinkles and lines by using special serums. Also, it can improve the overall glow of the skin so you can be sure that you will have plenty of bookings for this treatment. People love to have pearly white teeth, so if you are able to offer them a treatment that will help them get beautiful teeth, you can be sure you will become their favorite beauty services provider. You should invest in an innovative teeth-whitening system that improves the condition of the teeth without damaging their health. If you invest in high-tech devices you can expect the number of appointments to increase, and in this situation, you certainly don't want to miss any of them. So, you should consider the possibility to invest in a booking system, where to stock all your appointments. In this way, you will be able to tell your clients if one of the treatments and gadgets is available when they want to make an appointment. Also, you will know exactly what every one of your customer needs.